I’ve been really looking forward to getting my hands on Jonny Wallis‘ debut EP ever since we collectively coaxed him into setting up a crowdfunding page to get the cash in to make it happen, so to find it hand-delivered (thanks Katie – sorry I wasn’t in to offer you a cup of tea!) when I got in from work this evening was a real treat (admittedly, the email confirming the digital download details probably spoiled the surprise a bit, but that’s okay!). Clad in a cardboard monochrome sleeve featuring an excellent shot by Dan of Ferocious Photography, I eagerly got it downloaded and synced over to my phone to get it playing. 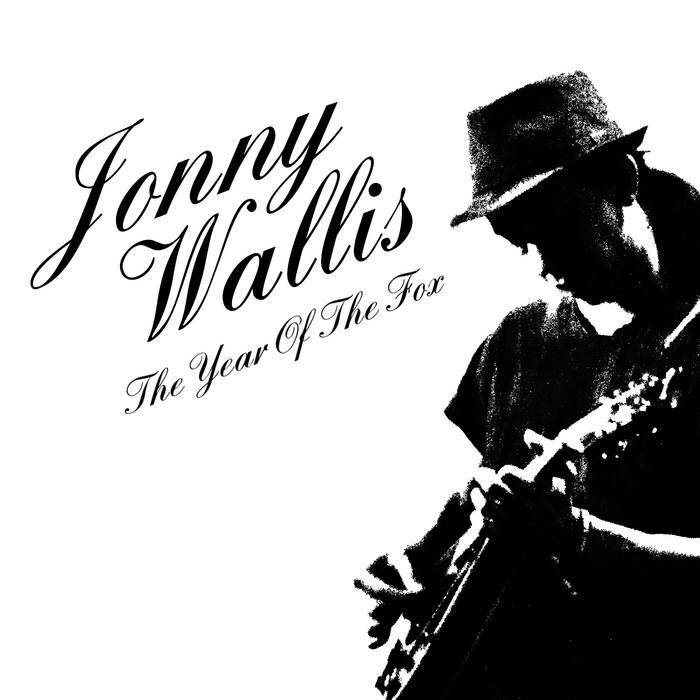 The Year of the Fox is a reference to Jonny’s old band, 3 Eyed Fox, who I first encountered way back in 2011 – way before Ferocious Blog existed, although it did warrant a mention on my (even more) self-centred personal blog – a very short mention. By the time I started more dutifully writing about music I don’t think they were any more sadly, so I couldn’t tell you how many times I got to see them – although obviously since this platform has been available to me Jonny has featured quite a lot on my gigging roster! 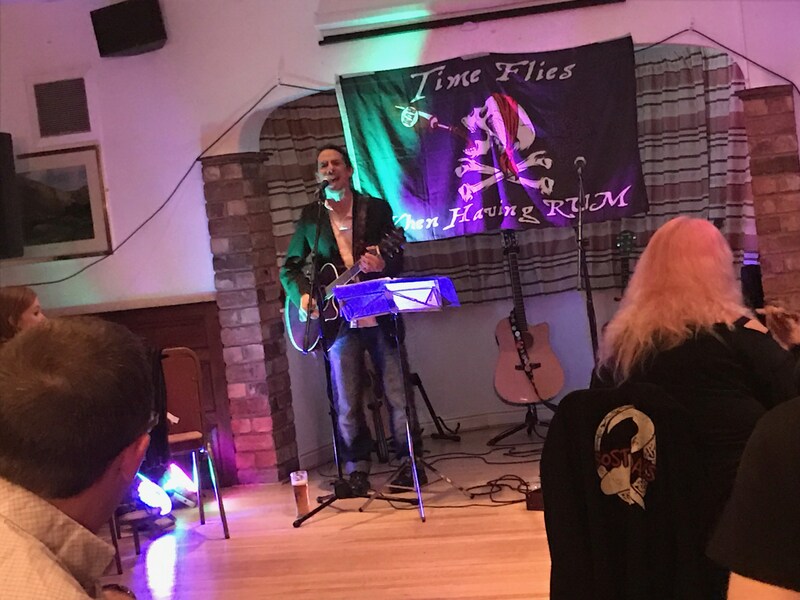 One musical door closes, another opens – catalysed perhaps somewhat by his occasional partnering with Brian Stone for a spot of The Fox and the Pirate. Light the Darkness has a ludicrously catchy finger-picked riff breaking into occasional strums overlaid with initially gentle lyrics. Jonny has a wonderfully melodic voice – but then get let rip into empassioned mode too as he does in the chorus here. It’s a powerful song of togetherness, offering support to bring someone out of a dark place. It’s a lovely start, having heard it live a few times now it’s translated brilliantly to a recording – it sounds polished without losing its heart, so some credit needs to go to Electric-Bear Productions who provided the mixing and mastering. They’ve really rendered something here that sounds slick but is a great representation of what Jonny delivers live too. Guitar strums introduce Crime of Rights (which I once amusingly misheard as Grab a Rise at a gig, haha) with machine-gun paced chanted verses before a melodic and catchy chorus. There’s something 3 Daft Monkeysish about the staccato guitar work (check me out using musical terminology, probably incorrectly!) which gives this track a bouncy rhythm. There’s a slower-paced middle-eight in here too leading in to the final chorus – a lament to the terrible state of the country, a gentle and melodic call to action – because speaking out is most definitely not a crime! Social Divide picks up the theme musically and politically – highlighting the burgeoning gaps we see between the haves and have-nots. More rhythmic guitar work pretty much looped for the first minute of the song before the chorus kicks in, gentler vocals building up over the course of the song to plaintive passion without ever losing the tunefulness. The lyrics are scathing of the systematic greed and dishonesty inherent in the society we seem to find ourselves – hypocrisy is definitely an apt rhyme to have found for democracy! The pace is brought right down with ponderous guitar picking to introduce Goodnight Lullaby – a moving tribute to Jonny’s father, Kelvin – a wonderful memorial to a man who was clearly a huge influence, and a final goodbye of sorts. Very emotional – one I know he initially was pensive about performing live as obviously it’s very personal and must be difficult. It’s a beautiful song though. I can imagine when Addie gets to hear it it will have a similar effect on him as The Leyline’s Save Your Soul does. As the song moves on the guitar intensifies as do the vocals – it slows down for the very end, the guitar dropping nearly out for the final goodbye. Stirring stuff. 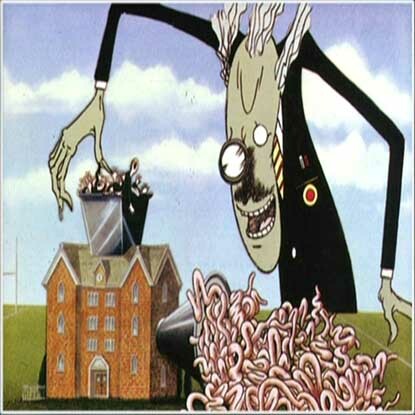 I know plenty of teachers (and increasingly former teachers) who’ve been reduced to nervous wrecks by the dreaded Ofsted inspection – arriving at short notice and focused on dubious targets and curriculum targets really rather than its official mandate. Anyway, I digress, sorry! I’ve kinda covered the narrative of the song in my own ranting, the song is fast-paced and scathing – again Jonny manages to deliver a poignant protest song whilst not losing sight of the tune. It’s not one I’ve heard him play live before – and it really resonates with me. Long live teachers who value differences and creativity in the children of the country. A genuinely excellent collection of songs, offered up by one of the nicest and most self-effacing musicians (in fairness most of them are in my experience!) on the scene at the moment. Even if Derby County are his second team, arf. Well worth the wait, I’m really looking forward to the EP launch party which is the prequel to Rockstock and Barrel a week on Thursday in Willington, it promises to be a very fun night – and a good chance to hear these songs live. Get on over to Jonny’s Bandcamp page to get yourself a copy and see what the fuss is about. Ella was uber quick off the mark in getting a review out too – so you can check that out too to prove it’s not just me bigging up The Year of the Fox.